HomeFront Page PostsGiveaway: 5 mamas will win tickets to the July 4th Fireworks Spectacular! Giveaway: 5 mamas will win tickets to the July 4th Fireworks Spectacular! 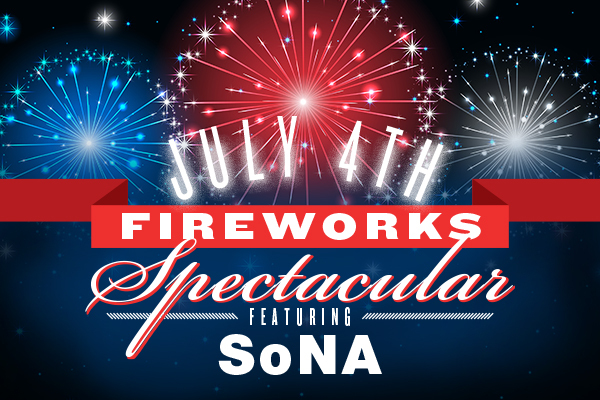 The Walmart AMP and the city of Rogers are presenting a brand new July 4th Fireworks Spectacular this year featuring a patriotic concert by the Symphony of Northwest Arkansas (SoNA) and we have lots of tickets to give away! Five mamas will each win two adult tickets to enjoy the event on the lawn of the AMP — and each adult ticket includes free admittance for 4 children! Gates open at 6 p.m. on Saturday, July 4th, and the music starts at 8 p.m. Fireworks to follow! 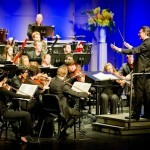 About the Show: The Symphony of Northwest Arkansas (SoNA), under the musical direction of Paul Haas, will present a concert celebrating both the beauty and grandeur of America as well as honoring those who have served in our nation’s armed forces. The program will include beloved music like “The Stars and Stripes Forever,” “Overture of “William Tell,” “Bugler’s Holiday,” an Armed Forces Salute and so much more! The uplifting and celebratory concert will lead right into the City of Roger’s beautiful fireworks show. A musical salute will be broadcast on KIX 104 to accompany the fireworks. Blankets are welcome, no chairs. HOW TO ENTER: If you’d love to win these Fireworks Spectacular tickets, throw your name in the online hat, mamas! Just click on the words “leave a comment” at the bottom of this post and tell us about one of your favorite 4th of July memories! CLICK HERE to read more about the Fireworks Spectacular and to buy tickets. If you want to sit in the covered area of the AMP, tickets are $10. Giveaway: Tickets to TWO upcoming Artosphere shows! 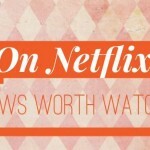 Looking for a new series to watch on Netflix this summer? 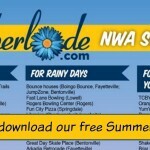 2015 Northwest Arkansas Summer Fun Printable! Want to help hungry kids? This week you can help just by eating at Panera Bread! My favorite 4th of July moment was several years ago at the beach eating crab followed by a family water balloon fight. My favorite 4th of July memory was going as a kid and picking out my own fireworks. Our Fourth of July celebrations were always full of fun with family. Now that we have moved away from all our family we are sad but excited to start our own little family traditions. Shooting off our own fireworks in the backyard is my best 4th of July memory. Now, we go to the community shows instead of buying and lighting our own. Both are fun ways to celebrate!! We used to have fireworks at our old family home with all the extended family. We had homemade ice cream every year. I loved it. My favorite memory of 4th of July when I moved to a new house. Two days before hear some firecrackers going off and looked out the window. Our neighbo across the street was launching fireworks in a homemade launcher. It was time to meet the new neighbors because we had the same thing. Been friends ever since even though they moved to Colorado and that was 14 years ago. Watching fireworks at the lake where I grew up with my parents!! My favorite fireworks memory is watching them over the water in Destin. So beautiful to see the reflection in the water!! When I was younger and all my family lived in the same small town in Eastern Arkansas we would have the best Fourth of July get togethers! It was always a lot of good food and fun!!! Thoes are my favorite July 4th memories!! My favorite 4th of July memories include big family gatherings with our own fireworks display. Love spending time with the family! My favorite memory is on the beach in Washington State at Ocean Shores – cold sand, salty breeze sitting with my entire family. The fireworks blazing high above us. My favorite 4th of July memories are sitting in the back of my dad’s truck watching the fireworks at the NWA Mall every year growing up. Also, going to the rodeo every year! Watching fireworks with the whole family at my parents farm! One of my favorite 4th of July memories is the first time we took out daughter to watch the fireworks! The look on her face was priceless. This year will be another great memory. It will be my little boys first 4th of July! I lowed eating watermelon and playing with sparklers! When I was 11 I went to NY to see my best friend that had moved there. We spent the evening on the lake and I couldn’t believe how cold it was! Bundled under a blanket in sweats and still freezing! Our anniversary is July 5th so one of my favorite memories is our rehearsal dinner on July 4th, that year. We practiced at th church and then had a barbecue and fireworks at the park! My favorite was when my kids were smaller and fascinated with the colors and sounds! I love to be with my family on the 4th. We have a cookout & eat ice cream every year. The Fourth of July has always been one of my favorite holidays! As a child, we would go to our neighbor and friends pool to have a potluck, swim, and shoot fireworks. Everyone in the neighborhood would come, and it was such a magical night! My now husband helping light fireworks for a small town fireworks show in OK. So nervous, scared, & proud of him for being a volunteer of the community! Since 4th of July is my favorite holiday, each year has brought me a multitude of memories. I think my favorite memories are watching fireworks, with my girls (as babies) sitting in my lap, and they were utterly amazed at the beautiful creations in the sky. They were magical and the moments will be forever cherished. When I was a little girl, my dad and I always bought and shot off the fireworks together. Miss him! My favorite 4th of July memory goes back a long time to a fireworks show we watched in Springfield, MIssouri with my cousins. It was the biggest I had seen at the time. We were really close to where they were setting them off and I remember lying on a blanket and looking up at them and it appeared they were falling on us. It was one of my favorite summer memories! My favorite memory is when we were on the Outer Banks of NC on the 4th and were able to watch the fire works while sitting on the beach. It was gorgeous watching them over the water. My favorite 4th of July memory is watching fireworks on the lake! Flashes of light reflecting all over the water… Just beautiful! A few years ago our family was in NYC over the holiday. We watched the Macy firework show from a ferry on the Hudson River. My favorite 4th has to be the 4th we spent in Cairo, Egypt. We went to the party at the American embassy and the minute we stepped inside, it felt like we’d come home to America. They had hot dogs, ice cream, party games and fireworks. We spread out a blanket on the lawn and had a picnic and enjoyed a concert. It’s what millions of Americans do on the 4th, but being able to participate in the holiday when we were so far from home and family was wonderful! My favorite memory is watching the flag light up at the end of the SCC fireworks show each year. I like on Facebook and Pinterest and receive newsletter. Favorite 4th of July was watching fireworks in Boston, listening to the Boston Pops. I’d love to do that again! My childhood always seemed to have perfect 4th of July celebrations–grilling out at the park by the river, sparklers, fireworks, and red, white, and blue cakes. The memories are a blur of sweat-laden, south Texas perfection. My favorite memory is going to the firework stand with my dad to pick out fireworks. He was just as excited as us kids were! And we loved writing our names in the air with sparklers. sounds fun! love buying at the tent and giving the neighborhood a show. My favorite memory is going to the rodeo with my dad on the 4th of July. One of my fondest memories of Fourth of July was spending the day at the Rudy Creek and then going to watch the fireworks in Van Buren with my family when I was a little girl.